Update: The People’s Bank of China has said today that initial coin offerings (ICOs) and any related fundraising activities are illegal (in Chinese). The regulator said in its notice that all activity must stop. The bank has conducted investigations into the practice and found it to disturb financial order. China’s ICO sector has come under strict supervision after months of breakneck growth. 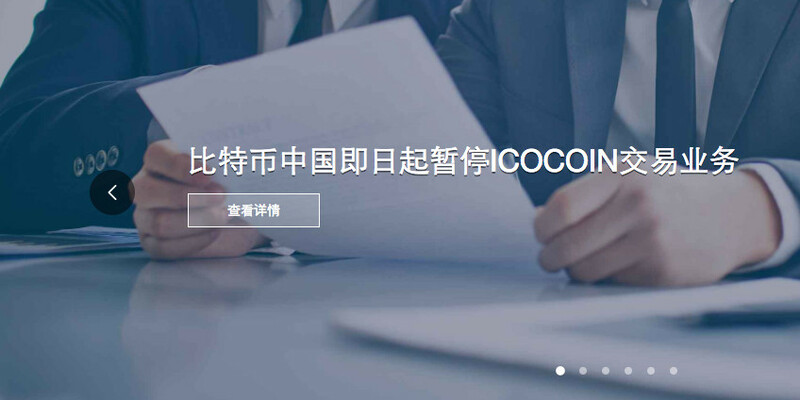 After an announcement by the National Internet Finance Association of China and subsequent reports of investigations by the China Securities Regulatory Commission, the country’s largest platforms including Bitcoin China’s ICOCOIN and ICOINFO are announcing the suspension of operations. The platforms provide ways for users to administer initial coin offerings (ICOs) using cryptocurrencies as a way of crowdfunding for an organization or investment in a project. Such platforms have proved highly popular in China in part because they provide another class of investment opportunity in a country where options are slim. The National Internet Finance Association of China published its “Brief on the Prevention of All Forms of Investment-related Risk in the Name of ICO” (link in Chinese; our translation, 关于防范各类以ICO名义吸收投资相关风险的提示) on August 30. “The number of projects that have been launched in the name of ICO (Initial Coin Offerings) has grown rapidly in the country, disrupting the socioeconomic order and creating a greater risk danger,” said the statement. It listed the issues of “misleading propaganda” to attract financing activities without permission. This means the institutions are suspected of fraud, illegal fundraising and issuing illegal securities. The statement criticizes the lack of transparency in the organizations’ dealings and intents. The brief warns people of the dangers of getting involved in such fundraising schemes and calls for greater self-discipline from members of the National Internet Finance Association of China. On the same day, ICOINFO, China’s second-largest ICO platform announced it would be temporarily suspending any new ICO services while awaiting updates from the authorities on any regulatory changes. On September 2, Bitcoin China (BTCChina, 比特币中国) announced it would be stopping all charging and exchange activities on its ICOCOIN platform and asked users to withdraw any funds by 6 pm September 3. 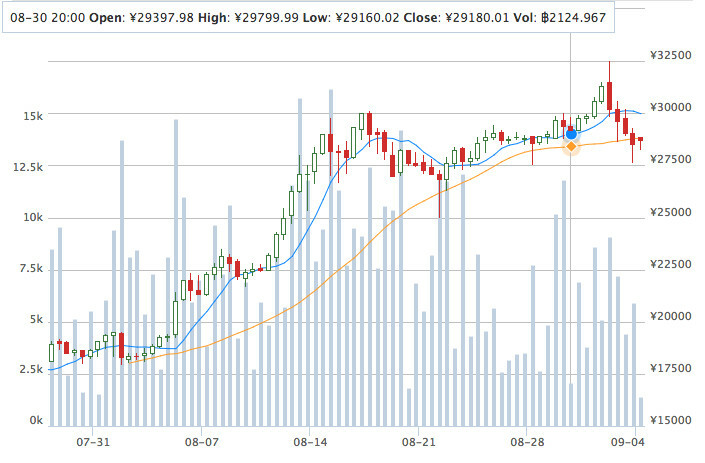 The global bitcoin value saw a slight drop on the day of the announcement but has since recovered. According to the 21st Century Business Herald (21世纪经济报道), a source in the blockchain sector has said the China Securities Regulatory Commission has already started a study into the practices of the sector (in Chinese) which he said could be understood to be a thorough investigation into the processes of ICO platforms. On August 24th, the Legislative Affairs Office of the State Council issued the draft of “Regulations for Handling Illegal Fundraising.” The draft seeks public consultation on the setting up of a framework for all kinds of organizations from mutual funds to companies working with farmers that seek to raise money from investors. On August 28, the Beijing Online Loan Industry Association (北京市网贷行业协会) issued a warning about the various risks of ICO platforms; the warning also highlighted the increasing importance financial regulators were attaching to the sector (in Chinese). Control over money in China remains a problem for the government. The demand for investment opportunities has left Chinese authorities struggling to deal with local and national pyramid selling and Ponzi schemes, which reportedly have even resulted in the deaths of those caught up. Beijing even saw protests in July against the authorities for investigating Shanxinhui and arresting its leader Zhang Tianming as they were concerned they would not get back their investments.